COLUMBIA, Mo. – Advance directives are legal documents in which individuals communicate their end-of-life treatment preferences before they are faced with serious accidents or illnesses. However, most adults are hesitant to talk about death and typically wait until after life-threatening medical episodes have occurred to begin discussions. A University of Missouri social work expert says conversations about death and end-of-life wishes should happen sooner, during calmer times of individuals’ lives. Galambos recognizes that starting conversations about advance directives with loved ones can be difficult. She says individuals must get comfortable with the end-of-life treatment wishes by thinking about how they want to spend their final hours or days. Galambos recommends that parents and adult children begin discussions about their wishes for life-sustaining treatment with each other. By the age of 21, individuals should start to formalize these wishes by completing the proper documents, she said. Galambos also encourages parents or adult children to check with each other periodically about their advance directives because wishes may change over time. She says having routine conversations about end-of-life care will help normalize these conversations. In 2012, a team of University of Missouri Sinclair School of Nursing researchers, led by Curators’ Professor of Nursing Marilyn Rantz and including Galambos, received a $14.8 million grant from the U.S. Department of Health and Human Services Centers for Medicare and Medicaid Services (CMS) to reduce the re-hospitalizations of nursing home residents. One goal of the grant is to develop communication systems at nursing homes to assure that consistent communication of residents’ decisions about advance directives can take place. 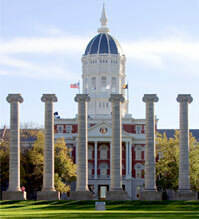 Galambos is a professor in the School of Social Work, which is within the MU College of Human Environmental Sciences.